Rhubarb might be a seasonal spring darling, but that doesn't mean that everyone knows what it is exactly. If you're one of those people who secretly has no idea what rhubarb is, or think you know but aren't confident enough to say it out loud, you've come to the right place. We're about to break it down for you. 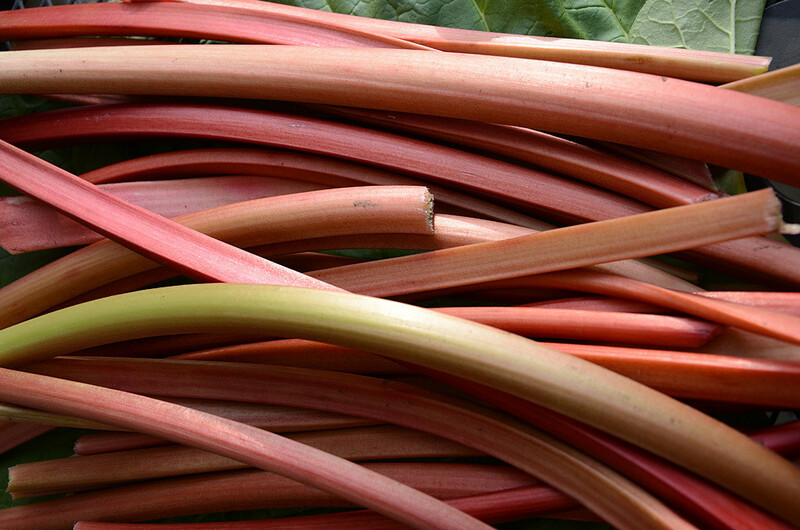 Rhubarb is technically a vegetable, but is legally considered a fruit. In 1947 a New York court declared rhubarb a fruit because it's most often cooked as one in the United States (and, it's said, because it was a way to save businesses who imported these stalks from spending additional money on taxes). Rhubarb is sold at farmers' markets and grocery stores by the stalk, like celery. It's harvested in the spring, with a short season that spans from April to June. Rhubarb stalks are famous for their bright pink color, as pictured above, but they can also be light pink and even pale green. The color is not an indication of ripeness or sweetness, like it is with other fruits. 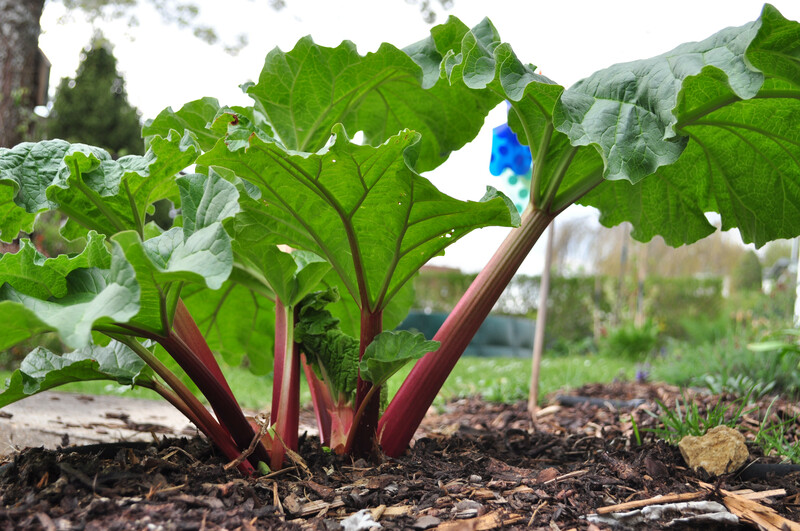 The stalks are the only edible part of the plant; in fact, the leaves of rhubarb are poisonous. See those leaves below? Never eat them. Rhubarb is naturally tart -- and we mean bone-chillingly tart -- when it's raw, so very few brave souls ever eat it in its raw state. It's almost always cooked or baked with a generous serving of sugar. Like in pie, for example. 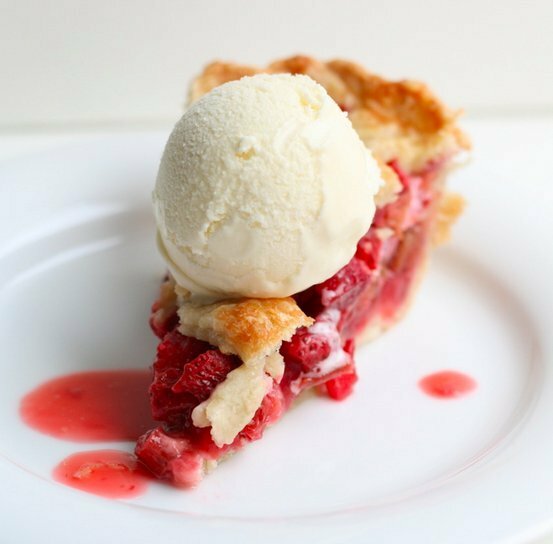 Rhubarb is famously paired with strawberries -- spring's other darling. Strawberry rhubarb pie might be the most popular way to prepare it, but there are many more options, such as donuts, cakes and floats. Hurry up and get your fill of rhubarb now that you know what it is -- the season will be over before you know it. Actually, you might want to stock up on some and freeze a few stalks. You'll be thankful you did come wintertime. Check out our favorite rhubarb recipes below!